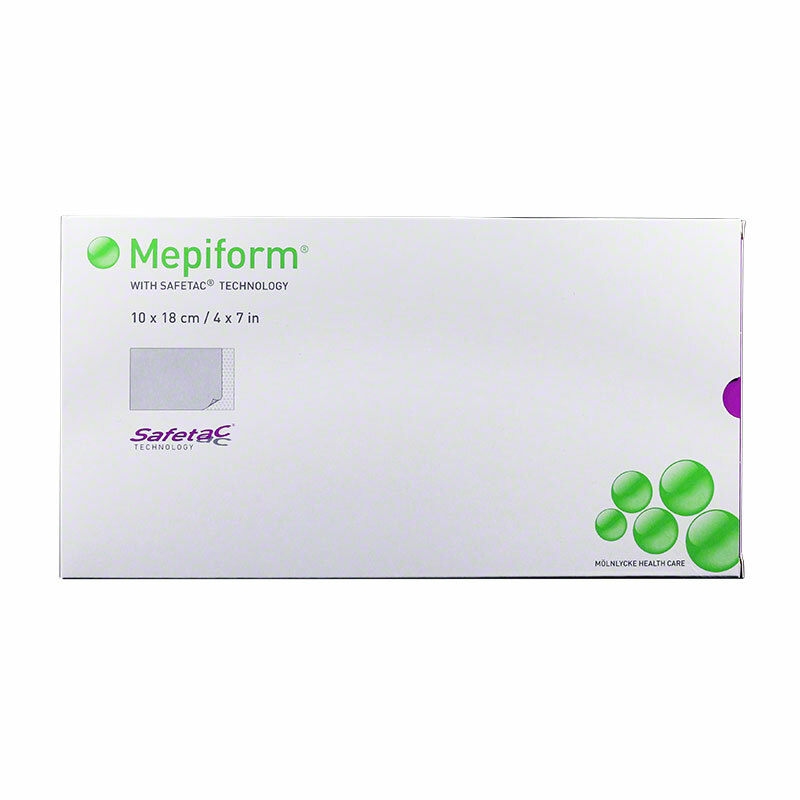 Molnlycke Mepiform Safetac Self-Adherent Silicone Dressing 4"x7" 5/bx is a self-adherent soft silicone dressing for scar care and designed for the management of hypertrophic and keloid scars. Molnlycke Mepiform Safetac Self-Adherent Silicone Dressing 4"x7" 5/bx is a self-adherent soft silicone dressing for scar care and designed for the management of hypertrophic and keloid scars. Topical silicone has empirically been shown to have positive impact on hypertrophic and keloid scars. It may take from 3 months up to a year or more to improve an old scar, depending on the condition of the scar tissue. Mepiform shall optimally be worn 24 hours a day. Molnlycke Mepiform Safetac Self-Adherent Silicone Dressing 1-3/5"x12"
Molnlycke Mepiform Safetac Self-Adherent Silicone Dressing 2"x3"